oesn’t this just make you smile : ) This lovely little cutie marked the entrance to Dovetail Antiques in Cashiers, N.C. over the weekend. What a creative, simple and beautiful idea for arranging sunflowers. 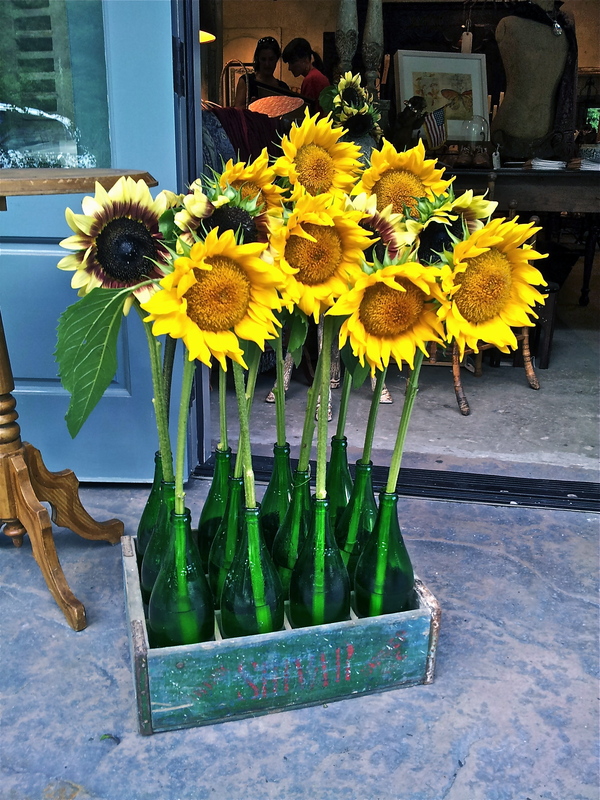 I am so using this bottle arrangement for my next sunflower display. Thank you Sally for the inspiration.